Skin needs plenty of moisture to remain plump, smooth and wrinkle free. 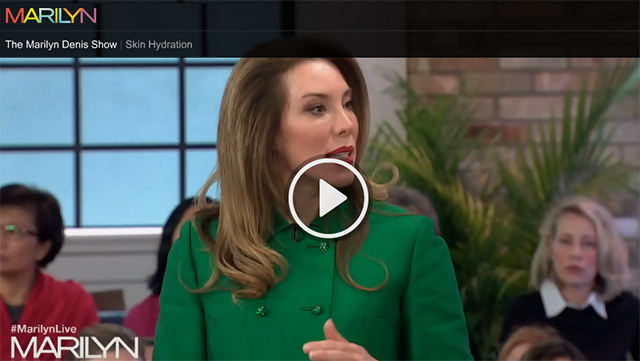 Dermatologist, Dr. Lisa Kellett, shares a few simple ways to boost your skins hydration, as well as the products to do the job. The process works by keeping the moisturizer in direct contact with the dry skin. Use sun protection every day! Every night add a drop to your moisturizer to improve fine lines. Add a drop to your moisturizer every morning to improve the look of brown spots. Serums of a 20% or higher concentration are best. Apply your cream onto wet skin, if extremely dry, it increases absorption. Always remember to drink lots of water and protect exposed skin from the cold.